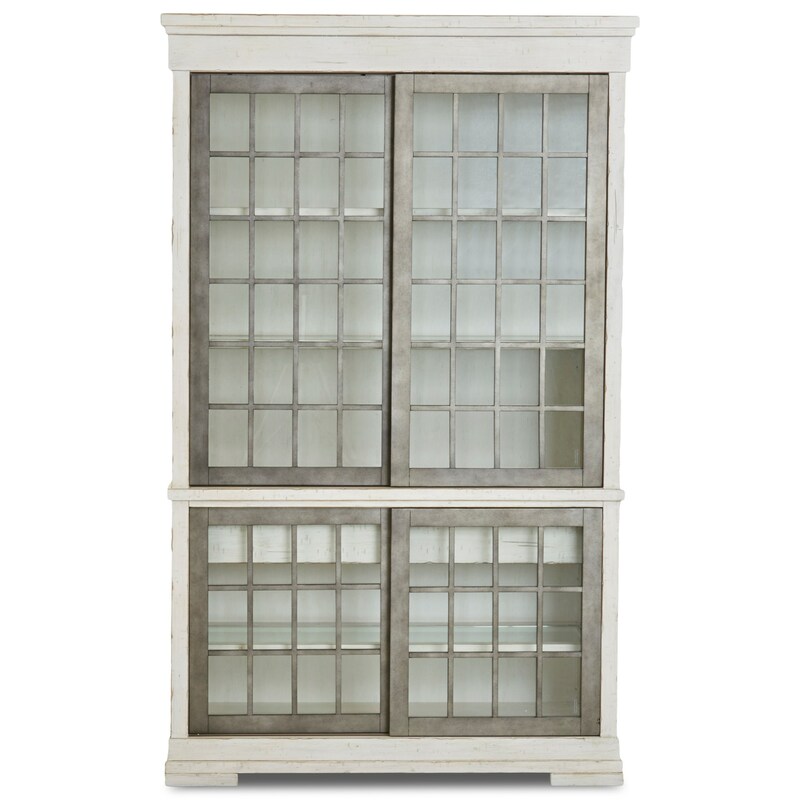 Right on trend, this glass display cabinet is a fashion-forward and functional storage piece for the living room or dining space. The grids on the door front are finished in a darker tone to emulate an old factory window bringing rustic industrial character into your room. Bring your display of photos, serving pieces, and family heirlooms to life with built-in lighting. The Coming Home Affection Display Cabinet with Lighting and Sliding Glass Doors by Trisha Yearwood Home Collection by Klaussner at Sam Levitz Furniture in the Tucson, Oro Valley, Marana, Vail, and Green Valley, AZ area. Product availability may vary. Contact us for the most current availability on this product.